The Oxford and the Webster’s are collecting dust in their jacketed covers. I haven’t used a thick-girthed dictionary in a long time. Do we need to when we have the vast web as an instant and infinite reference source? We can do a face-off right now as I did – it took me 40 seconds to look up a word in the physical dictionary and just 5 when I searched for the same word online. Plus, an online search reveals so much more about the word, from how it can be used in different contexts to any Wikipedia information connected to it. We are vocabulary challenged because we are lazy about looking up new words. Don’t be; you can use a single dictionary like the excellent Dictionary.com Vocabulary Challenged? Try 8 Things On Dictionary.com To Improve Your English Vocabulary Challenged? 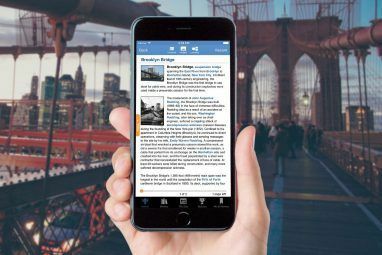 Try 8 Things On Dictionary.com To Improve Your English Dictionary.com and its resources make it almost a portal that takes you on a journey of word discoveries. Word has it that it is probably the most frequented of online dictionary and reference sources on... Read More to learn new words…get their pronunciations 8 Online Audio Pronunciation Guides That Help You Speak Words Correctly 8 Online Audio Pronunciation Guides That Help You Speak Words Correctly Read More right…use synonym dictionaries 10 Online Synonym Dictionaries To Help You Find A Similar Word 10 Online Synonym Dictionaries To Help You Find A Similar Word Read More to find similar words…use a few slang dictionaries 10 Online Slang Dictionaries to Learn Jargon and Street Language 10 Online Slang Dictionaries to Learn Jargon and Street Language Read More to learn urban speak…have some fun with video dictionaries A Roundup Of 5 Online Video Dictionaries You Can Have Fun With Or Use To Look Up Words A Roundup Of 5 Online Video Dictionaries You Can Have Fun With Or Use To Look Up Words We have already seen some examples of online dictionaries that give us one-click access to meanings, synonyms, antonyms, usage, and more. Now in another helpful twist, we see the arrival of video dictionaries. Are video... Read More …or just use Google. We Google for stuff anyway, and perhaps it has almost become a sub-conscious habit to Google for a word meaning as well. Google certainly makes it easy with the different ways it gives us to look up words. Google actually had a Dictionary service earlier but it was later integrated into Google Search and other services. Now, it works behind the scenes but gives the same sort of results. Let’s turn to Google and see how we can use it in different ways to get to the same end – the right meaning (and hopefully an expanded vocabulary). Simply type [your-keyword definition] in the search box. You won’t have to complete keying in ‘definition’ before Google suggests the meaning to you right on top of the search page including an icon to press for the audio pronunciation. Clicking on More Info takes you to the expanded pages where you have the complete dope on the particular word. You can also click on the individual online dictionary links mentioned below in small print. A lot of the information is sourced from Wikitionary among other sources. Hit Clear to return to the Google Search page. You will get the same results if you use the define: operator followed by the keyword. The screen above illustrates with an example. Clicking on the More info link takes you to the same detailed page on the usage of the word. Half a million people are using the official dictionary extension for Chrome, so it just could be the fastest way to do a word search. It certainly saves some typing. After installing the extension, you simply have to Double-click any word to view its definition in a small pop-up bubble. The primary definition uses a different dictionary while clicking on the More link takes you to the same expanded page on Google. The extension supports multi-lingual dictionaries, so you can use it just as conveniently on web pages in other languages. If you like the extension approach, here are – 7 Chrome Extensions That Help You Look Up Words & Meanings As You Browse 7 Chrome Extensions That Help You Look Up Words & Meanings As You Browse 7 Chrome Extensions That Help You Look Up Words & Meanings As You Browse Looking up words for their meanings and definitions is no big deal. 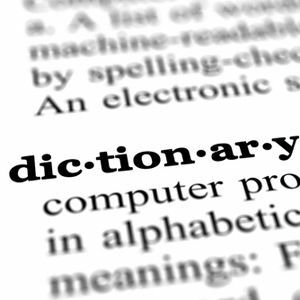 A glut of free online dictionaries has made it a matter of a selection and click. Helping you further are right-click context menu... Read More . The extension links to the WordNet lexical database at Princeton University. If you are interested in semantics, you can go to their home page and read the method for deciphering lexical relationships. I find it better to use images with new words because it actually helps me with retention. You can click on Images (one of the search tools) and source relevant image thumbnails with Google Image Search. It is not always accurate, but it does help to look at new words in a different light. Defining your own custom search engines have various productive uses. Let’s say you aren’t too enamored with what Google’s default word definitions throw up. 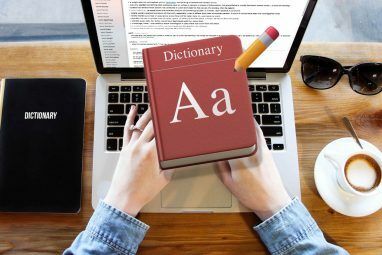 You can actually use your own preferred dictionary and set it up as a custom search engine on Google Chrome or any other browser for that matter which supports custom search engines. Most like Firefox and Opera do. Technically, you are not using Google here but your own favorite dictionary site. Go to Settings – Scroll down to Search – Manage search engines. As shown in the screen above, give the custom URL a name, add a short keyword and the URL. Since last year, Google Translate has included a feature that groups translated words from English by frequency. This helps the user to get to the correct translated meaning of a foreign word and use it in the right context. As you can see in the screen above, the synonymous translations are grouped together and are marked by little icons that show how common or rare the words are (hover over the grey bar with your mouse). You can use it to check the right meaning of a reverse translated word also. As these six different methods show, there is more than one way to get to the root of a word with Google. 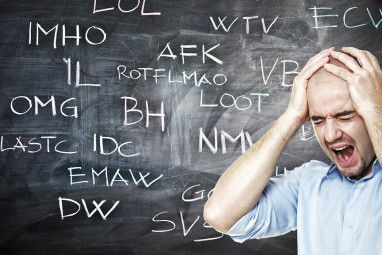 Getting to the meaning of a word is easy…proactively using the methods to enrich your vocabulary is a different matter that is usually plagued with slothfulness on our part. Do you take the lazy approach or are you more engaged with content that you read on the web? Tell us about your word hunts on the web and your preferred way of looking up meanings when you stumble on them. Duh, I had the Google Dictionary extension installed on Chrome, but didn't know how to use it. Thanks for the explanation. Maybe your next article should link to sites that help with the use of the apostrophe. Point taken and rectified. I try my best, though I like to do more stuff with less sarcasm. I used to use 1-Click Answers Extension for Firefox; there is something similar for Chrome - [Broken Link Removed] . But now I use WordWeb dictionary [Broken Link Removed] ) installed on my PC and running in backround all the time. It better fits to my needs. Press Alt and click the word - you get the definition of the word almost instantly. WordWeb is my favorite offline dictionary too.